For the 80s, I can instantly name my favourite album, it is Mötley Crüe – Shout at the Devil (1983). 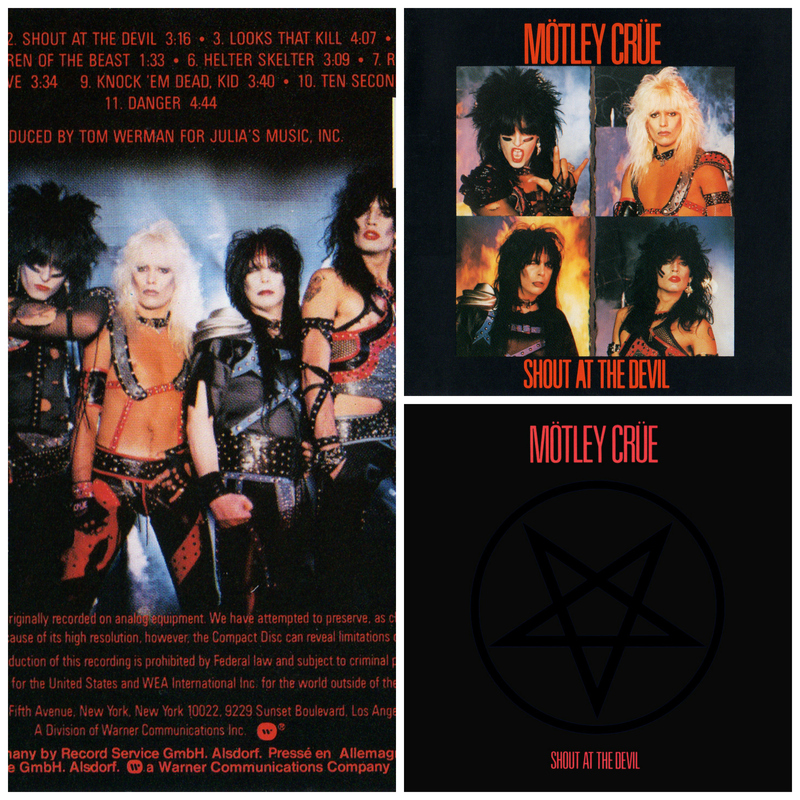 The album is said to be Mötley Crüe’s best and heaviest album, including such great tracks as “Looks That Kill”, “Helter Skelter”, “Too Young to Fall in Love” and of course “Shout at the Devil”. I’m so happy that I was able to witness the band live in Helsinki (2012), it was quite of an experience! At the moment they are saying goodbyes in the final tour. Also the 80s must have been the most productive decade for my other favourite, Iron Maiden. They released altogether seven albums between years 1980-1988, including their first album Iron Maiden (1980) and my favourites Piece of Mind (1983), Somewhere in Time (1986) and Seventh Son of a Seventh Son (1988). Also, Rolling Stone has an impressive list of 100 Best Albums of the Eighties, including a short story of each album. Definitely worth reading! A music related book tip again – The Dirt: Confessions of the World’s Most Notorious Rock Band by Neil Strauss (2001). That book tells the whole story about of Mötley Crüe, including all the highs and lows. Recommended and entertaining reading for everyone, who’s interested in reading a real rock ‘n’ roll memoir. Summary borrowed from HarperCollins site.